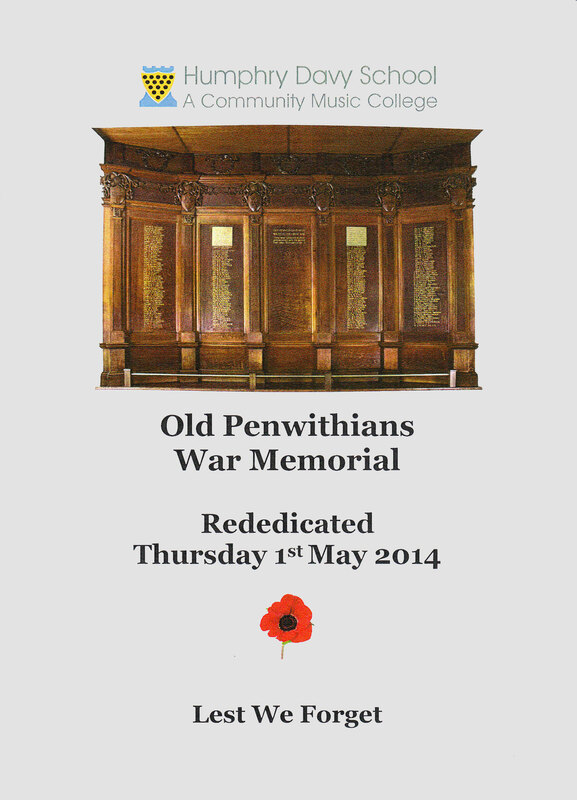 The restoration of the Old Penwithians War Memorial is now complete and Matthew Channell of Park Lane Restoration, Truro has done a great job. 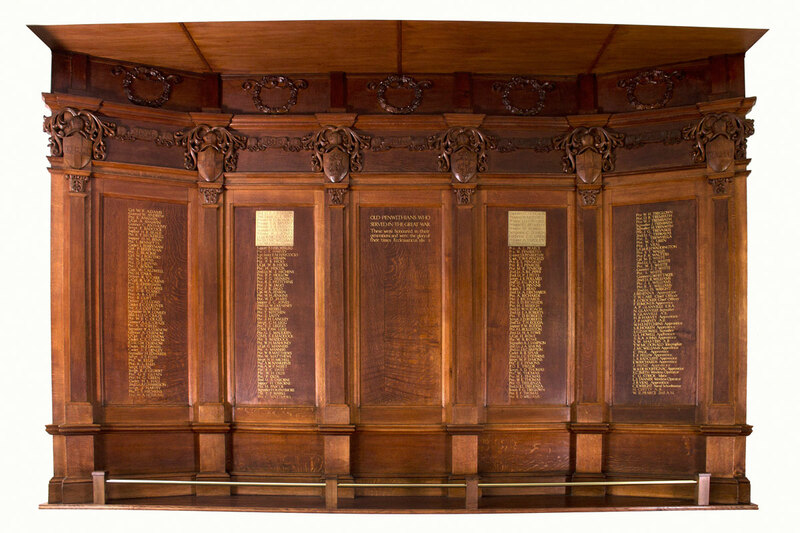 The oak panelling has been cleaned and rejuvenated and the brass and gold lettering restored. A low brass rail has also been fitted to protect the memorial. In the process of renewing the windows in the assembly hall, or gallery as it is now known, the contractors found asbestos in the area above the war memorial which had to be removed. While doing this the ceiling, which covered the top of the memorial, was opened up allowing access to the frieze as well and now the whole of the memorial is visible once again. We are very grateful to the War Memorial Trust for the grant that they gave towards the costs together with all those who made personal donations. The memorial was rededicated for the Centenary of the First World War in a ceremony at the school on 1 May 2014. Many Old Boys and friends of the school attended, alongside the Mayor of Marazion, Mayor of Penzance, and the Head Boy and Head Girl of the school. A commemorative brass plaque placed on the wall beside the memorial was unveiled by Councillor Phil Rendle, the Mayor of Penzance. A souvenir booklet containing short biographies of the 19 Old Penwithians who died during the war was produced and made available at the re-dedication. Copies are still available – contact Humphry Davy School for further details or come along to the annual reunion on 29th December..